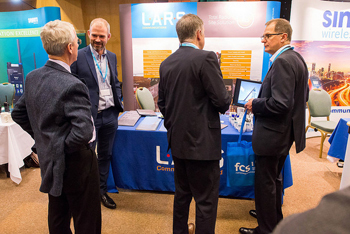 This week we are once again heading to Chateau Impney in Droitwich Spa, where we are one of the Premier Sponsors of this year’s FCS Business Radio event. This unique summit encompasses everything to do with the Business Radio industry; it’s not just about what’s happening today, but what we need to do tomorrow and where the growth opportunities lie in the Business Radio industry. The Business Radio event is the only event of its kind in the UK calendar and is the place to be if you’re interested in finding out about many of the new products which have come to market, and any new products which are currently in the planning stage. As well as providing an ideal opportunity to network with colleagues, the event also offers visitors the chance to hear about the progress being made by Ofcom; to understand what changes are happening in the industry; and to meet top level speakers providing insightful industry perspectives. There will be a number of presentations on the day, including Ofcom, Motorola Solutions and Transport for London. What’s more, our sister company, Xi Training, will also be hosting a seminar focusing on height safety directives. The ‘Working at Height Training – Changes in Approach’ seminar will guide you through a number of changes to the rules which exist for people working at height, and how training providers are helping to keep your workers safe in the work at height environment. For those staying for the evening, there will be a formal black-tie event, an opportunity to entertain customers and relax with colleagues. With live music from jazz band, Midnight Blue, and after dinner entertainment provided by Eddie ‘The Eagle’ Edwards, the FCS Gala Dinner 2018 is the perfect way to round off a truly unique event. Registering for the event could not be easier. Simply email fcs@fcs.org.uk and quote LAR4 for free entry.